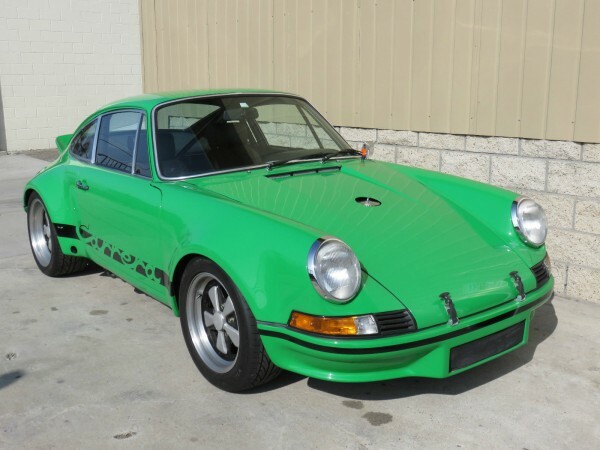 For all of the eccentric and eclectic Porsche collectors and enthusiasts out there, we've decided that it is about time someone aggregated the best of the best that eBay has to offer in the Porsches-for-sale department. Now we've tracked down five more exciting Porsches for folks to purchase. The list includes a nice driver 993 Carrera 2S, a Turbo Slant Cab, a minty fresh 914-6, an oddball rally car, a nice looking RSR clone, and proof that good photos help in an eBay ad. Some of these cars could be great collection investments, while others might prove to do more financial harm than good. Your mileage may vary, but this car looks pretty darn awesome for the money. It's certainly not a collector, but it could be an excellent weekend driver for someone. 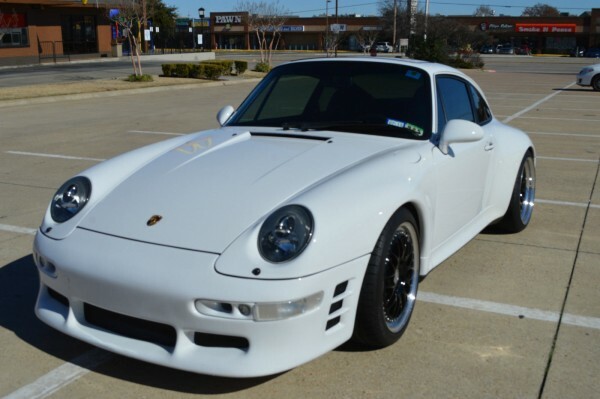 This 993 C2S has suffered what the seller calls a "minor fender bender", but likely because of that has got an excellent looking set of Ruf CTR replica bumpers front and rear, giving it a very strong appearance. The TPC Racing supercharger strapped onto the engine gives the car as much go as it has 'show'. I would absolutely drive this thing every moment I possibly could. The 993 is a great chassis, and when you give it a little more oomph from an intercooled supercharger, and tack on some Ruf-look bits, it looks even more amazing in my eyes. It's not everyone's cup of tea, but I bet it's a fun ride for the 50K asking price. I'm not sure why, perhaps because I'm still living in the 80s, but I still really want one of these. Every time I see a 930 Cabriolet, I go a little bit weak kneed, but a turbo slant-nose cabriolet makes me curl up into a ball and rock gently in the corner. It was such an insane car when it was built, and remains pretty crazy today. It is a pointless, senseless, indulgence of a car, but I really, really want one. While I'd personally prefer the even more rare 5-speed version of 1989, I'd settle for this one, certainly. It's the ultimate in 1980s decadence, massive price tag included. If you've ever wanted to own the car that every adolescent car guy had on their bedroom wall in the late 1980s, here's your chance. John Buffum is famously the first American to score points in what is now known as the World Rally Championship. He drove all kinds of raucous rally machinery, including a 1969 Porsche 911S at the Rallye Monte Carlo that year. He is probably more famous for his stints in Triumph TR7s and Audi Quattros, but he did get his rally start in a 911. Shortly thereafter, Buffum purchased this beautiful 914-6 as his personal driving machine in the states. Buffum owned this 914 for thirty-seven years, having purchased it new from a Vermont Porsche dealer, and only racked up 35,000 miles in that time. It was then sold to one of the higher-ups at the Ohio-Based Stoddard Porsche in 2008. At that point, the new owner completed a full rotisserie restoration of the mid-engine wonder. 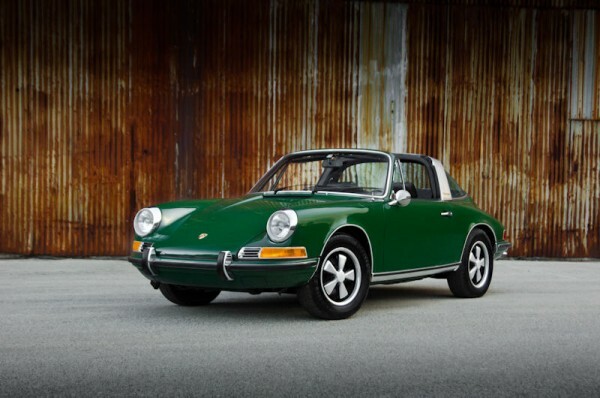 You'll never see a nicer 914, as the metallic green paint was a very expensive option, and very few selected it. The interior, exterior, engine compartment, and front trunk all look clean enough to eat off of (though, please refrain from doing so). The buy-it-now price of nearly 100 grand is eye-watering when it comes to 914s, but this one might just be the cleanest example in the world. Get it before cars this clean are twice that much. While the early long-hood 911s got most of the attention for Porsche on the stage rally scene, there were some intrepid individuals who used the more work-a-day 912 as a rally race car. 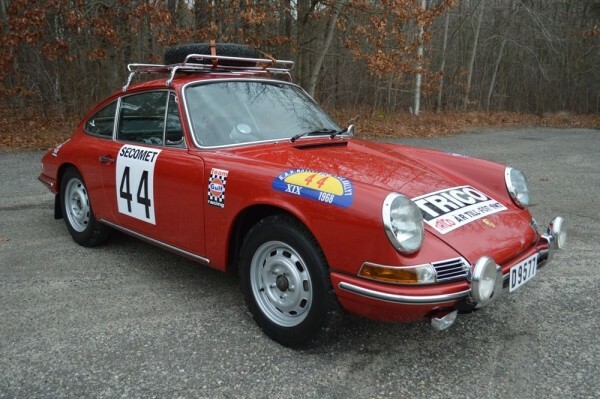 This particular car, a 1968 912 Coupe, competed in a number of Swedish rally events. Not many competition 912s were ever built, and this one is a rarity. Not only that, but it has quite a few factory-spec upgrades that are awfully difficult to find these days, including an original 100-liter fuel tank, Porsche mudflaps, a Leitz roof rack, and many other interesting accessories. Add this one to your early Porsche rally collection, and don't regret it for one second. I don't normally go for "clones", but this 'RSR' appears to be really well done, and it looks so nice. It is hard to argue with a wide-body longhood 911 in Viper Green. It's one of my favorite colors, and the Carrera script on the side just helps it pop. Add in a 915 gearbox, a 3.2 liter engine with almost 300 horsepower, and a set of big carburetors and a racing exhaust, and you've got a recipe for a winner. I can almost imagine what it sounds like in my head, but I'm sure it sounds even better. Get this one and rip through the gears with a smile on your face. This week, the choices are admittedly a bit 'early-911 heavy', but when there are so many good examples of them on ebay right now, I can't just not show them to you. This one, while 'just' a 911T, stands out from the crowd, thanks to some gorgeous photography. Here's a tip to anyone who wants to sell a 6 figure car over the internet, hire an excellent photographer to do an amazing shoot like this one. It might cost a couple hundred dollars, but your car will really stand out from the crowd! Will Porsche Build This Type 717, An All Electric Baby Panamera Designed To Compete With Tesla?